The ski season is always a moving target. While many mountains plan to start on Black Friday, mother nature often has different ideas. The end of the season is even harder to pin down. The season reminds me of the baseball calendar. Thin cover snowliage skiing is akin to spring training. The regular season begins on opening day and the All-Star break is Valentine’s Day. But the analogy breaks down because end of the regular season is always a moving target. Based on what I read on Facebook and in the Forums, last weekend was seen by many as the end. Several mountains called it on Sunday leaving more hills closed than open. 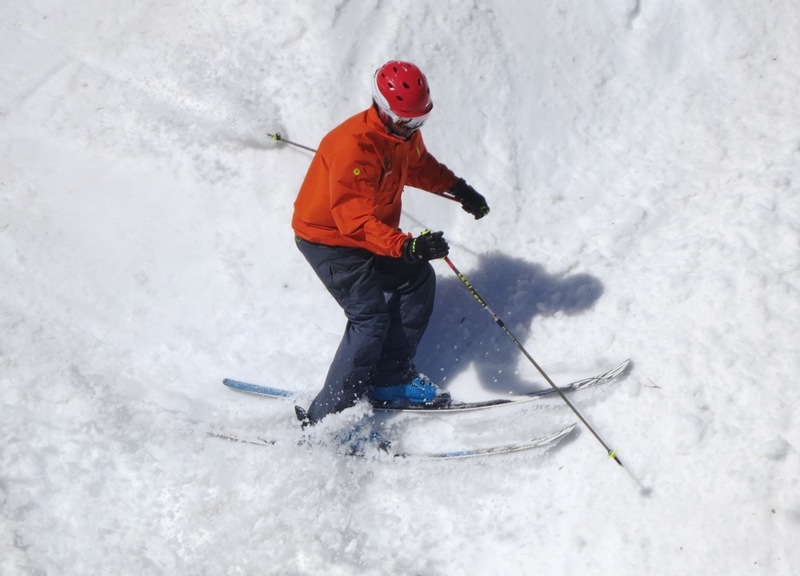 The good news was that sun finally came out and warmed things up for some proper spring skiing. 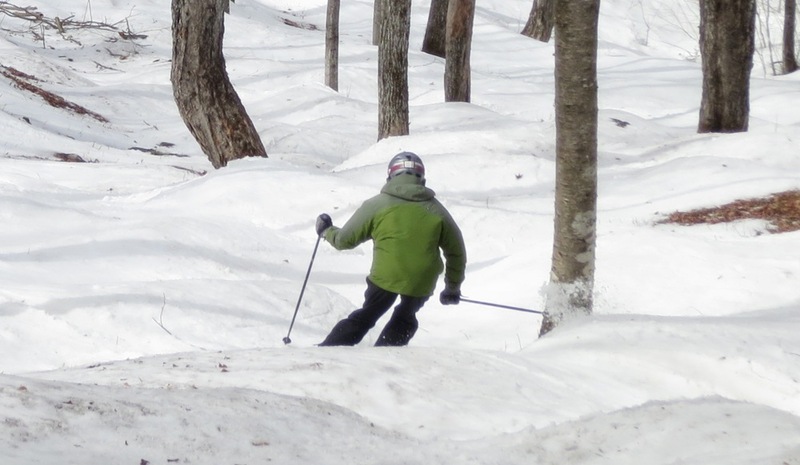 Those who hung in late in the day Saturday got to ski soft snow and the trees were in play. Sunday was game-on from the opening bell. By midmorning at Gore and across the Northeast a party atmosphere was pervasive. We arrived a bit later than usual and started on Gore’s sunny, low elevation, front side terrain. Our eight-year-old Neve was pushing us to head to the top from the moment we arrived. 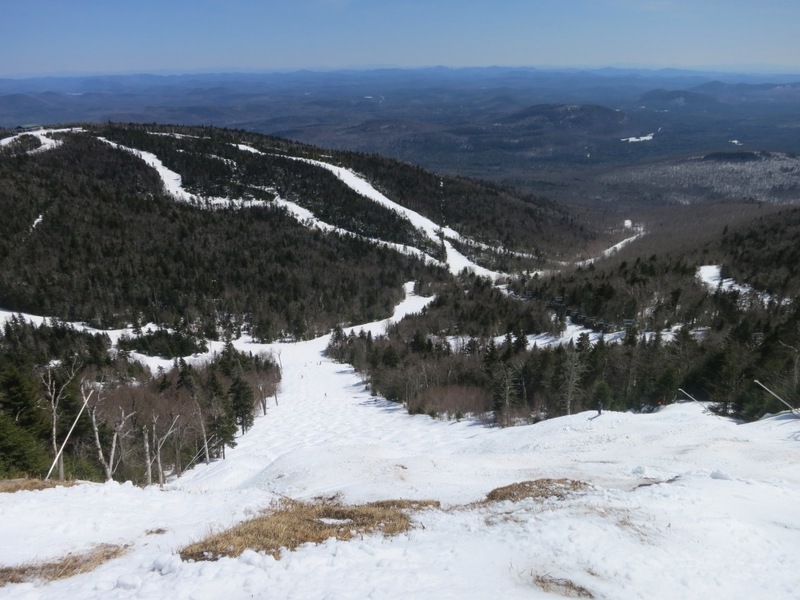 I tried to explain that skiing in the spring is different than mid-winter, where often the top has the best snow. As the East Side got sloppy we moved on to the North. More shaded and with a higher base elevation, it was the next logical step. We had that side completely to ourselves, and I eyed up the Tahawas Trees, which were closed but looked prime. 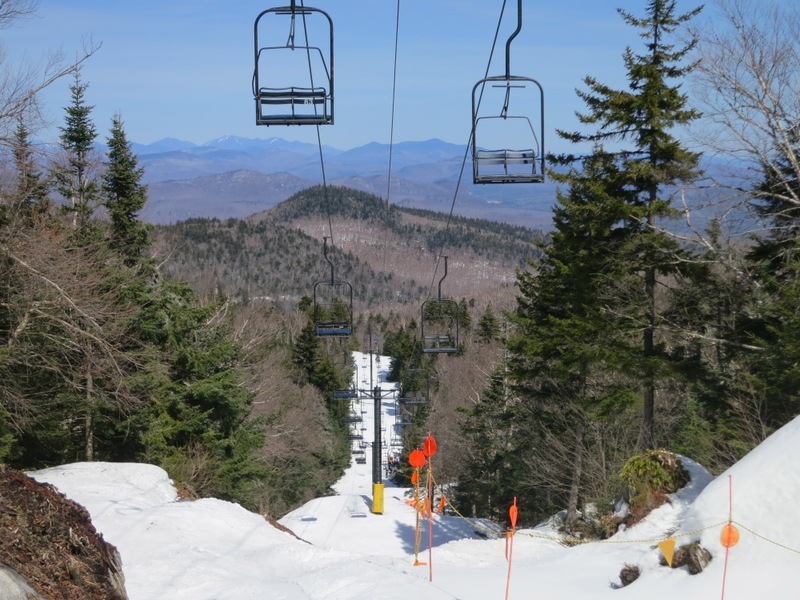 Finally we went head to the High Peaks Chair where we faced an inevitable contradiction. 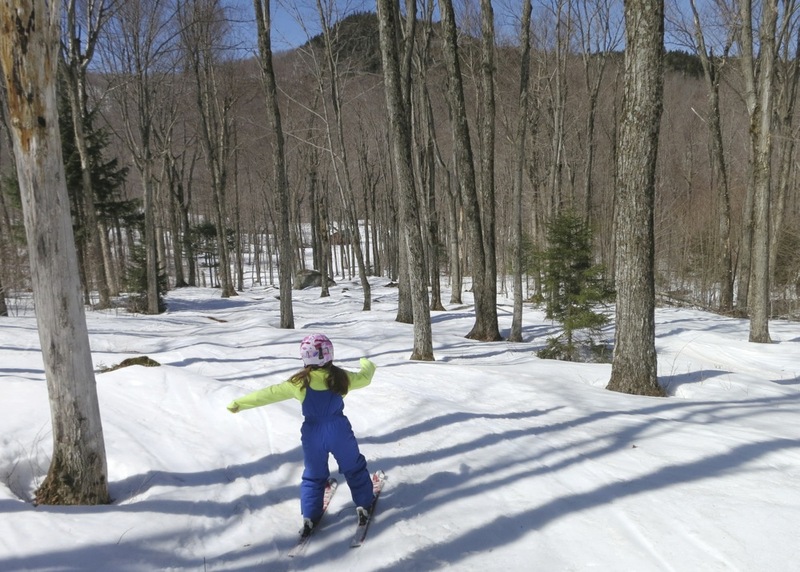 While Neve always seems to push us to “go to the top” she has been struggling relatively new fear of black trails. At Gore, that doesn’t leave much to ski at the summit. We don’t generally push Neve, but today Zelda went where no man (in our family) has gone before. She was relentless with her suggestion that she try Open Pit, one of the easier expert rated trails on the mountain. Firsts for her included Chatiemac, Hawkeye and the bumps under that Straightbrook Liftline. (Woohoo!) I’m not kidding myself into thinking that we’ve moved beyond the fear of expert terrain, but it felt like a very big day. Near the end of the day I crossed trails with the Darkside Shaman who gave us a heads up. Tahawas Trees were open and skiing like a dream. It was the perfect opportunity to finish the day on some fun bumps to further boost Neve’s confidence. While Gore should have another great weekend coming up, like many skiers, my girls are done for the year. I’m still holding out hope I’ll make it into the playoffs at Killington or the World Series on Mount Washington. Hope to be there Sunday! All I have to say is that after this weekend, it’s going to be “Go East young man”. 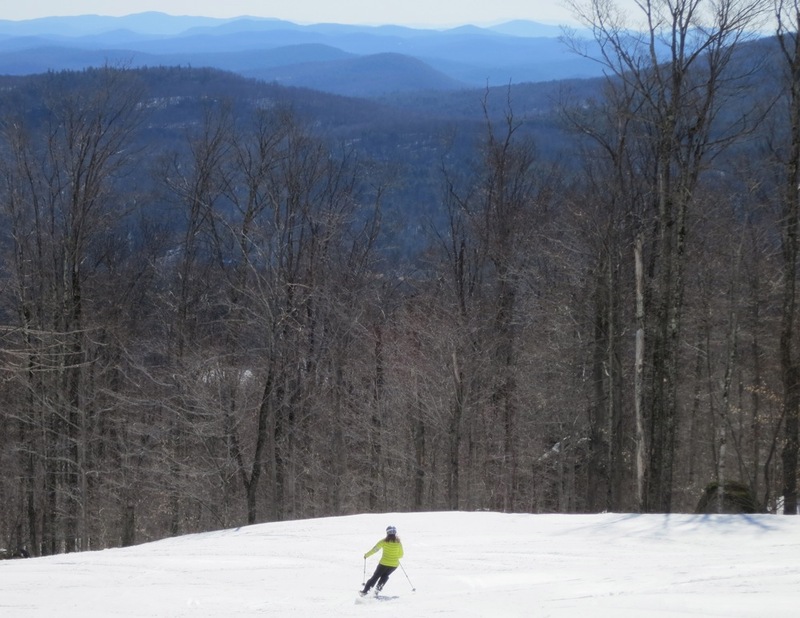 There is still a few weeks of spinning lifts East (or North) of New York State. Hope to ski with a few of you this weekend. Harv, perhaps we can talk about that growing fear issue with our girls. My 7yo daughter experienced the same thing this year. Skiing big/steep blacks all last winter only to have improved her skills but decreased her desire. I pushed her a bit, but did not want to be the guy with a crying kid. When I did, she would ski easily, say it was easy (skiing very well) but advise she was one-and-done. It also makes me feel better know other (non-PANDAS I’m assuming) kids are growing into fears. Maybe it is normal and not a function of her condition. Unfortunately I don’t think I’ll get to Gore this weekend. Was holding out hope for Plattekill Sunday, but at this moment I don’t think they will be spinning. kids love to ski with other kids. you will figure it out and meet more families. i usually wound up with all the kids because i was one of the few parents who could take them into the woods. it was great and i kind of miss it. Closing weekend was a blast. I hope to do a report on my thoughts. On kids skiing together, there is no better teacher/motivator in my view. My daughter found a way to find kids/groups to ski with that were below her skill….so she did not have to push herself. Small mountain with lots of kids, who all hang out. I am not worried and know she will grow out. This seems to occur to a % of kids, though more so with the lil, ladies. Maybe the boys feel the same way but are not “man” enough to admit it. I find the gals do better (at this age anyway) in dealing with adverse peer pressure.